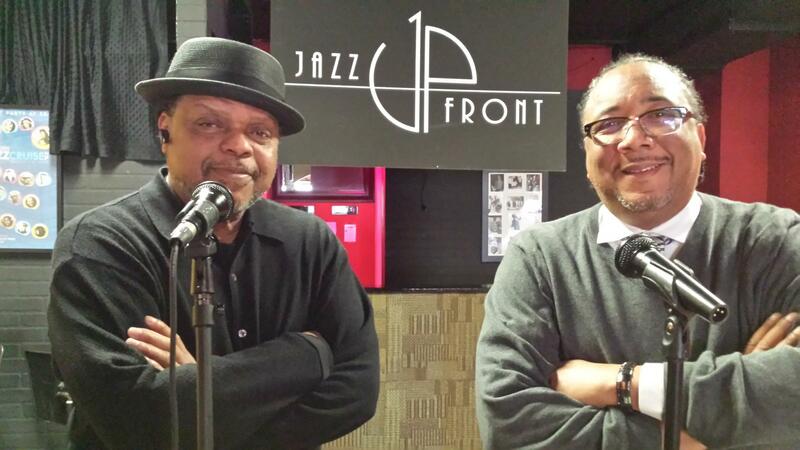 Jazz UpFront owner James Gaston (L) and Jazz UpFront planning committee member Jeff Woodard (R). During New Orleans parades, the "second line" is generally considered to be the group that follows the main section of the parade, or the members of the club with the parading permit as well as the brass band. On February 28, that band will be the New Orleans spiced central Illinois based Prairieland Dixie Band. Gaston said his club will be open that afternoon, with the intention of starting the parade at 5:30 from Jazz UpFront. "Then we'll second line down Front street to Diggers Again on the east side of East and Main streets," said Gaston. "We may have a police car with us because we're hoping for a big crowd and we don't want anyone getting hurt." Gaston said all are welcome to join the second line. "We hope a lot of people participate," said Gaston. "Because that's what the whole project is about ... bringing more awareness to downtown Bloomington, and especially Front street." The Prairieland Dixie Band will begin playing inside Jazz UpFront around 4:00 p.m. on Fat Tuesday (Feb. 28) before leading the "second line" east on Front street around 5:30 p.m.
"The band is going to come inside Diggers (230 E Front) with us and play a little bit. Then we're coming back for a stop at Rosie's (at 106 E Front.) I hope they can play inside Rosie's, but if they're having dinner, I'm not sure," laughed Gaston. Tickets for the Jazz UpFront Mardi Gras celebration, including the second line parade along Front street are available from Jazz UpFront, Diggers Again, and Rosie's Pub. The price is $35 in advance, $40 on February 28. Tickets include masks, beads, handkerchiefs, dinner, music, and one drink per establishment. Click "Listen" to hear the entire conversation between James Gaston and GLT's Jon Norton, including Gaston's thoughts on Jazz UpFront's first two years as a club in downtown Bloomington. 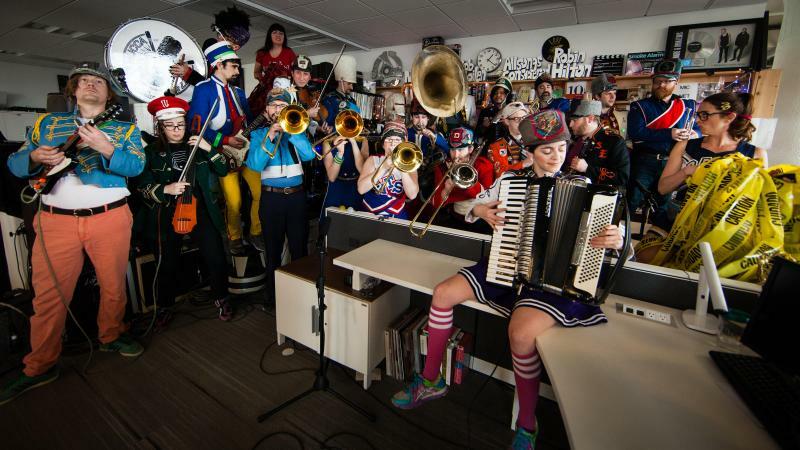 Mucca Pazza ("Crazy Cow") founding member Rick Kubes said the forming of the 30-odd member marching band was organic. He gives kudos to fellow founder Mark Messing, the band's original director, choreographer, and music director.